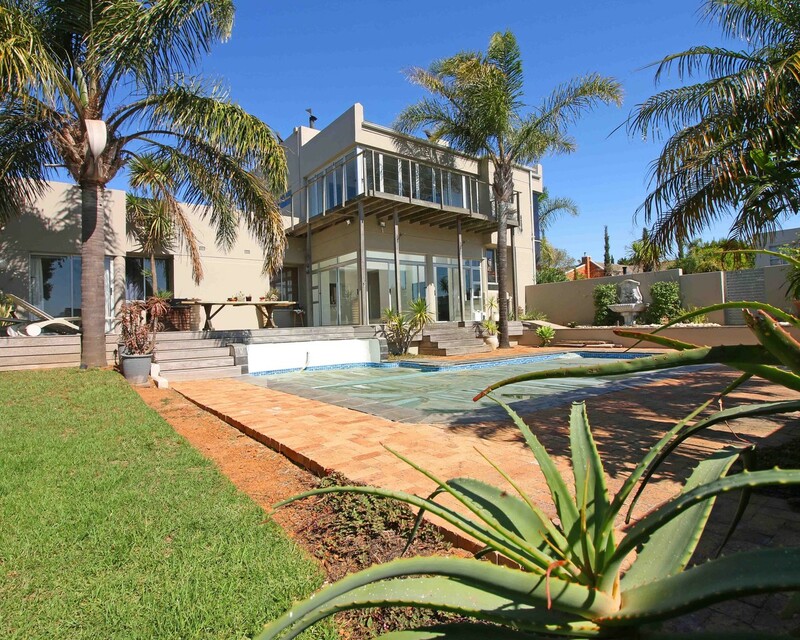 Sign up and receive Property Email Alerts of Freestandings to let in Protea Valley, Protea Valley. Straight from the arrival at this home you can feel the style and class that awaits you on the inside. Clean, crisp lines as you enter this home, with the modern wooden staircase greeting you. The modern kitchen offering you a separate wash up and laundry area. The lounge area at the bottom has a built-in wall unit, fire place and separate braai area, opening up to the tropical pool with glass sliding doors. The modern wooden staircase leads you up to the entertainment area with its own full kitchen, separate cinema room with screen, projector and cinema curtains, pool table, built in braai and glass stacker doors that open up onto a wooden deck that has sublime views of the vineyards and the majestic Bloemendal hills. Sign-up and receive Property Email Alerts of Freestandings to let in Protea Valley, Protea Valley.